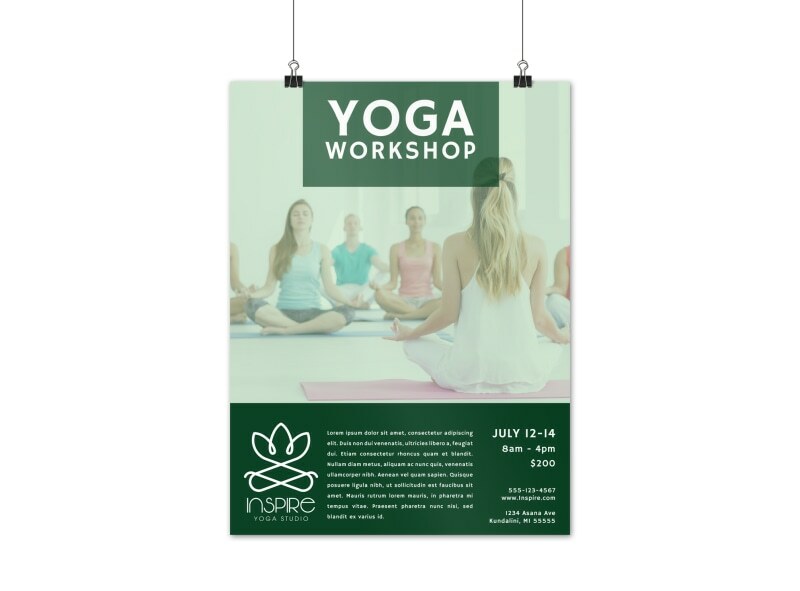 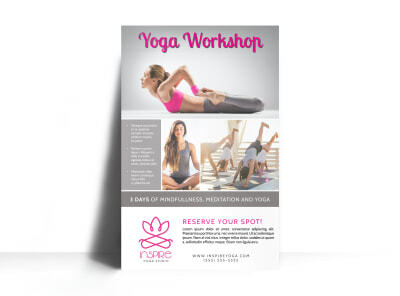 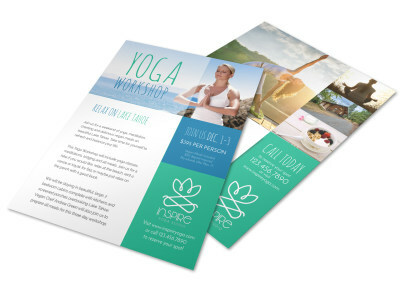 Customize our Green Yoga Workshop Poster Template and more! 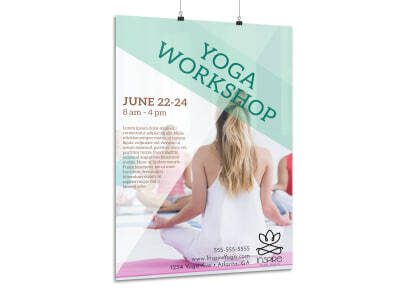 Enhance your fellow yogis experience with this poster you customize yourself for your yoga studio. 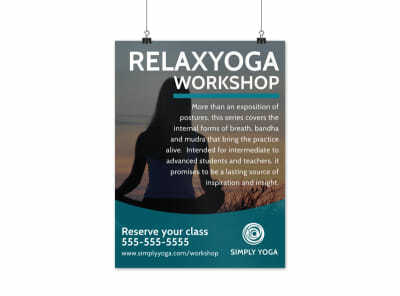 Provide information about your training and background, a list of classes and philosophies, and info on rates and costs. 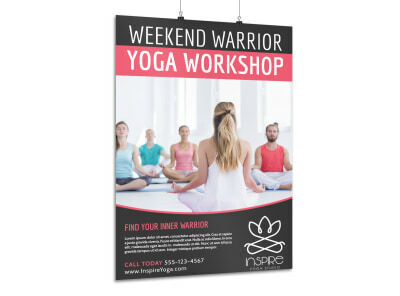 With just a few clicks, you can have your poster ready for printing and on your wall.